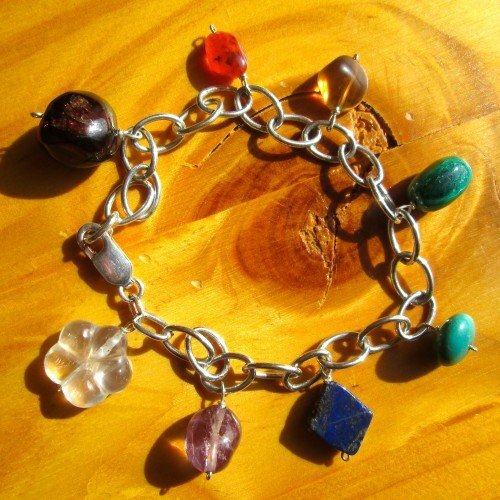 Chakra bracelet rainbow crystals silver. 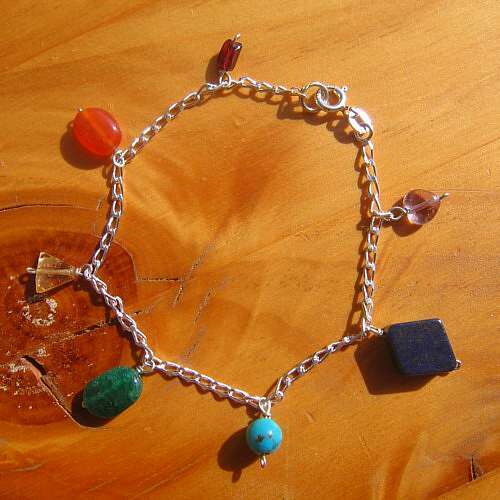 Because I use a mixture of bright tumble stone crystals to make these bracelets, clients love the finished look. 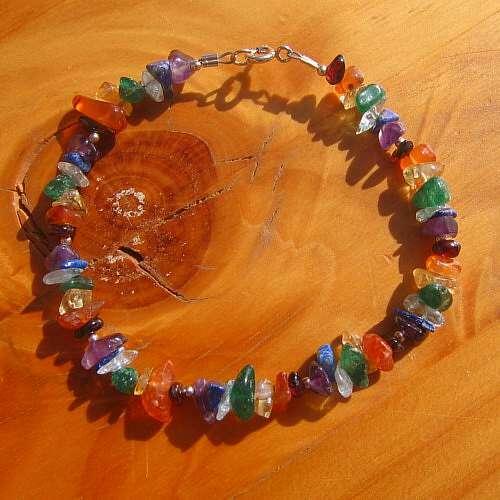 First of all, I thread amethyst, lapis lazuli, blue topaz, green aventurine, citrine, carnelian and garnet onto strong, flexible wire. 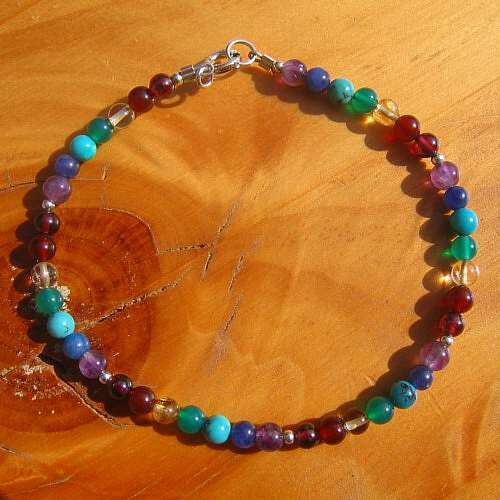 Set in order of the seven main chakra, so corresponding to each chakra. The wire is coated and for that reason, good for clients with allergies to metal. 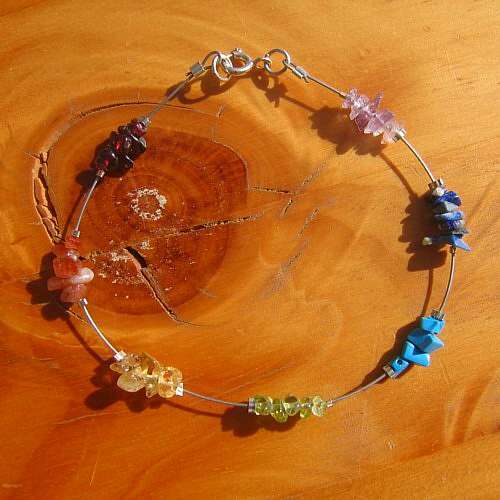 Your “chakra bracelet rainbow crystals silver” is hand made and as a result, unique. Find matching earrings on the “chakra earrings” page. Tiny silver beads to separate. Small sterling silver clasp. Available sizes approx. 7″/18cm and 8″/20cm.